Shiprock, NM – After his sister and niece were arrested for burglary, a Navajo Nation judge was arrested for interfering in the case and convicted of attempting to bribe the prosecutor in order to drop the charges against his relatives. 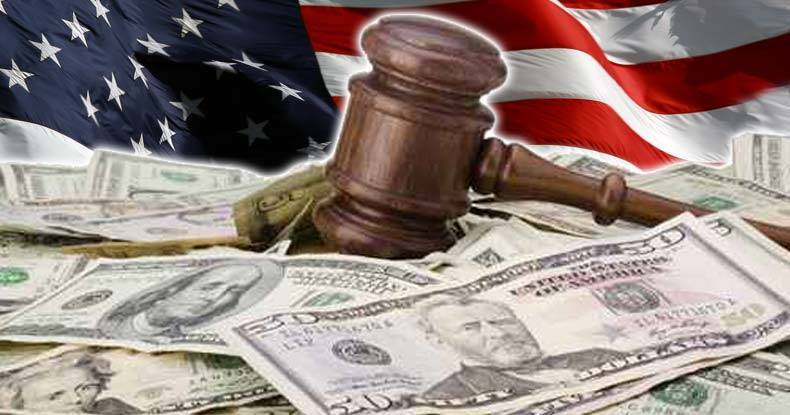 Facing six months in jail and a $2,500 fine, the disgraced judge was recently sentenced to a $25 fine. On June 23, 2013, Kayenta Judicial District Court Judge Roy Tso Jr. learned that his sister and niece were being held in the Shiprock Detention Center on suspicion of burglary and theft. As investigators searched his relative’s home for any items stolen from a storage unit, Tso arrived flashing his credentials and identifying himself as a judge in an obtrusive conflict of interest. Attempting to spring his relatives out of jail and dismiss the criminal charges against them, Tso contacted Ruby Benally, a prosecutor with the Shiprock Office of the Prosecutor. After receiving a text message from another tribal prosecutor to meet and discuss “business,” Benally was informed that Tso would pay her $750 if she dropped the charges against his sister and niece. Maintaining that he did nothing wrong, Tso claims he was merely looking out for his niece, who he said is mentally impaired and requires medication. Although Tso was a judge at the time, he feared the correctional staff would mistreat his niece and withhold her medication. After the Office of the Chief Prosecutor launched an investigation into possible criminal conduct, Tso was placed on administrative leave on October 10, 2013. Last December, a bench trial in tribal court found Tso guilty of interfering with an investigation and attempting to bribe a prosecutor. He was convicted of abuse of office, a misdemeanor that carries a maximum penalty of six months in jail and a $2,500 fine. In a separate case, Wade also accused Tso of extorting money from defendants seeking to avoid jail time. According to Wade, the case was dismissed after the judge rejected his request to telecommute for a pretrial conference that he wasn’t informed about until the day of the meeting. During Tso’s recent sentencing, Shiprock District Court Judge Genevieve Woody ordered him to forfeit his position and pay a $25 fine. Tso only ended up paying 1% of the maximum fine with no time in jail for bribing a prosecutor. Judge Woody justified her decision based on the fact that Tso had been on unpaid leave. Instead of holding a fellow judge accountable for breaking the law, Woody gave her colleague the most lenient sentence possible. Although Tso was caught interfering with a criminal case and trying to bribe a prosecutor, his attorney, Judy Apachee, plans to appeal the conviction. Given a slap on the wrist during his sentencing by a fellow judge, Tso remains a glaring example of government officials protecting each other while consistently passing down harsher sentences on average citizens.